Maritza joined the Shamieh Law team in 2018. Her role as a client intake specialist is to handle all potential cases. Whenever a new client calls Shamieh Law for a potential case, she is responsible for portraying the firm as an aggressive and caring firm while also addressing all the potential clients' concerns. Maritza is bilingual and has four years of experience in the legal field. Her customer service is impeccable. 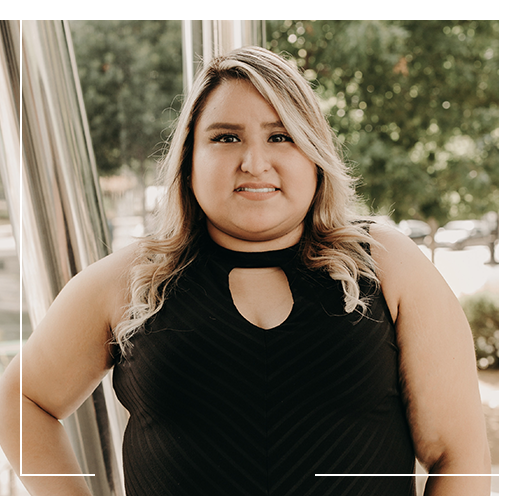 When she is not working, Maritza enjoys singing along to her favorite bands at concerts, watching movies, and spending quality time with her friends and family.